At St Joseph’s, our Early Years Foundation Unit comprises of a Nursery and Reception class. We view our Early Years Foundation Stage as one of the most important school years as this is where we try to give our pupils the best possible start to their school career. The curriculum follows the early learning goals set down by the Department of Education, and focuses on early reading, mathematical and basic artistic skills plus body control skills. In addition pupils also learn about the world around them, and there is a strong emphasis on social skills such as making friends and taking turns. Much of the learning takes place through play in activities carefully http://premier-pharmacy.com/product-category/hair-loss/</a planned and managed by the Foundation Stage team. Our Early Years Foundation Stage team ensure that planning follows the pupils’ interests through careful observation and assessment. Each area of the curriculum is planned for through broad topics and themes which change half termly. 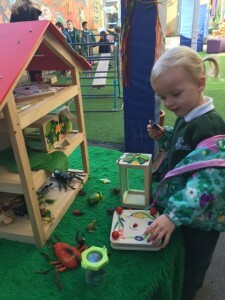 The learning environment includes the Foundation Stage Unit, which can be divided for discrete teaching sessions and an outdoor learning area. The school day includes a variety of whole class teaching, adult led tasks, and pupils own independent activities. The Unit is set up so that the pupils feel at ease when choosing their own resources, and developing their own activities with friends which enables them to become motivated in their own learning.